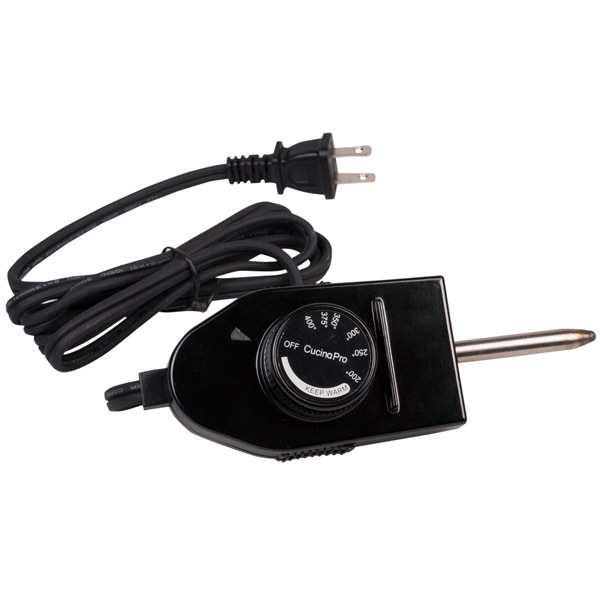 Electric Cord replacement for 12-inch and 16-inch electric skillets. Please note that the Electric Skillet was redesigned in early 2018, and the power cord probe for the newer model skillets are not compatible with the earlier model skillets. You will need to specify whether you are looking for the power cord with a straight probe (older model) or with the curved probe (newer model).